You will begin your journey in Ushuaia, a small, but bustling port town at the tip of South America. This Argentinean town is an ideal gateway for you to explore the southern extent of Patagonia while preparing for your adventure ahead. Get active in the mountains or enjoy some hand crafted chocolate at a café in town. With the Drake Passage left in our wake, we make a final approach to Antarctica. Get your cameras ready, as the continent’s coastline will make its first appearance, signaling the start of your adventure in the realm of the Antarctic. You’ll see plentiful icebergs floating by and be fixated on the surface of the ocean as curious whales spout and breach before your eyes. As exciting as it can be from onboard the ship, your true exploration occurs when you disembark and set foot on the great continent. There are several potential landing sites we may visit, including Neko Harbor, Orne Harbor or Paradise Bay. While weather dictates which specific landing sites we can visit, each one presents a new collection of wildlife and natural attractions. Your days will be busy spotting wildlife and being mesmerized by the beauty of Antarctica. Watching penguins waddling on the beach and listening to the crackling and crumbling sounds of icebergs and glaciers will become your daily entertainment, while kayaking with whales and camping in Antarctica are a couple of optional activities available on selected voyages. Crossing the Antarctic Circle is an impressive achievement, as most expeditions to the Peninsula do not reach this far south, which is officially noted at 66° 33’ S. You and your shipmates will celebrate in style with a well-earned glass of champagne! Make a toast and take pride in knowing you’ve made it to a part of the world still visited by very few people. Today you’ll say goodbye to your Expedition Team and your fellow travelers. 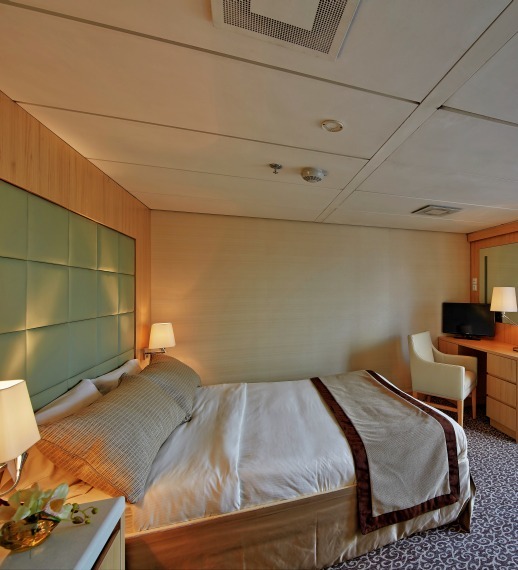 You’ll disembark in the morning so that you may catch your homeward bound flights. 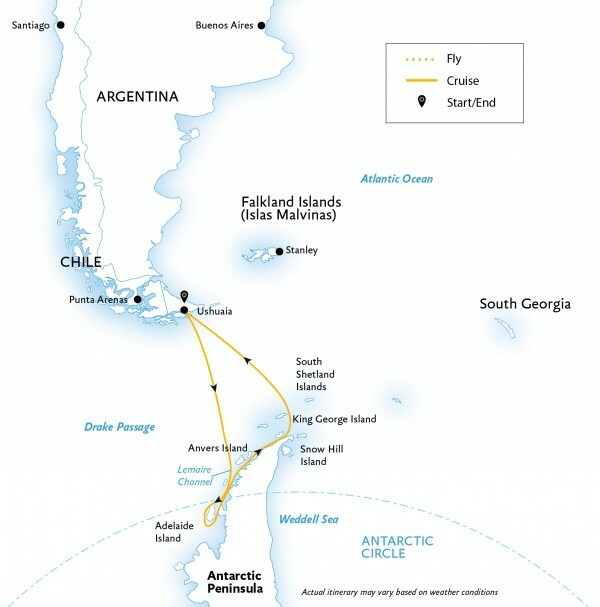 • Learn about Antarctica’s geology and wildlife from onboard lecturers and specialists. Experience an unforgettable journey around the island of fire and ice. Iceland is a country of contrasts and the diverse natural landscape provides the possibility for unique experiences like nowhere ......click here to read more. On this voyage from Iceland to Greenland discover the immense scenic and cultural variety of the world&rsquo;s largest island from the beautiful and fertile south with its fascinating Viking history ......click here to read more.